Social media continues to have a profound effect on marketing, and the use of its channels for marketing purposes is rapidly evolving. This benchmark study shows how CMOs in many organizations have reached a level of maturity with their social media marketing; they are not only promising ROI, they’re delivering it. Measuring the financial ROI of social media requires considerable discipline, strategies, procedures and a dedicated management system to track and capture the required cost and value information. 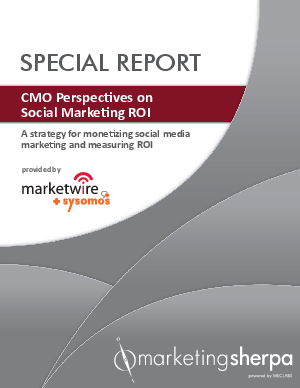 This report examines how CMOs are overcoming the challenge of social media monetization, their perceptions of social marketing’s ability to produce ROI, and how they are measuring it.